● Visit the Free Downloads for free versions of its antivirus and firewall programs. The page also offers 30-day free trials of its paid software suites. 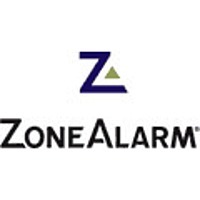 ● Promotional coupon codes can provide discounts as high as 66% off on selected ZoneAlarm products. ● ZoneAlarm has been known to seasonally offer sale events and special offers on several occasions such as Summer, Memorial Day, Halloween or Black Friday. Technology is a convenient solution to have in your everyday life but it is important that you take the steps to make sure that your personal electronics are secure. Zone Alarm is a software program developed by Check Point that helps to make sure that your computer and your mobile devices are secure. When you download the program it will act as a firewall and it will prevent viruses and malware from infecting your electronics. Customers who have downloaded the program can get technical support through the website and they can renew their subscription entirely online. For more information about the company, take a look at their blog and their “About Us” page. For most up to date offers check out Zone Alarm on Facebook and Twitter or contact Zone Alarm Support for any questions.